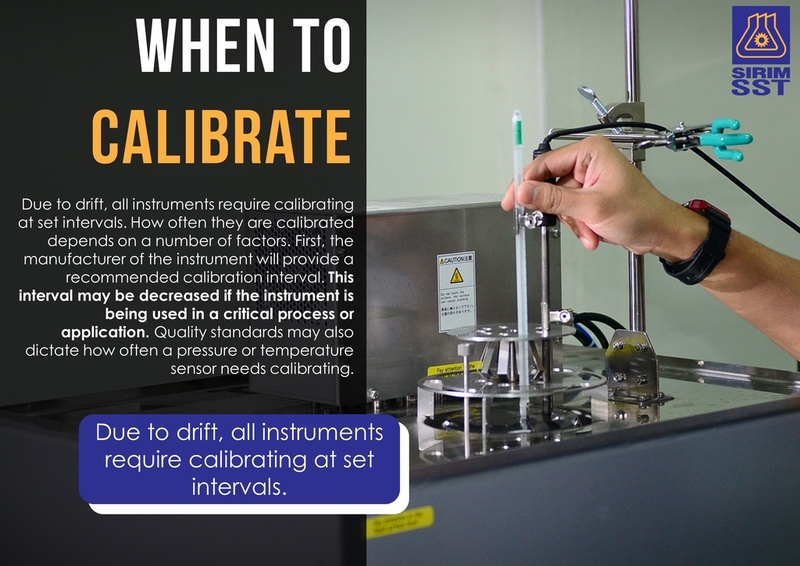 When to Calibrate your equipment? Copyright © 2019 SIRIM Standards Technology Sdn. Bhd. All Rights Reserved. This is the official SIRIM Standards Technology Sdn. Bhd. The site is best viewed with 1024X768 resolution using IE 9.0, Mozilla Firefox 27.0.1 or later. This material may not be published, rewritten or redistributed in any form except with the prior written permission of SIRIM Standards Technology Sdn. Bhd.